If you are looking for an all-in-one solution for your fashion or clothing store, pay attention to the Sassy Girl Magento 2 theme. It offers 6 homepage layouts and lots of design combinations, so you can easily fine tune the template according to your ecommerce needs. Check the following post for more information. 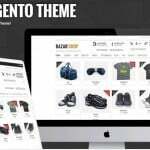 As a Magento owner, you can easily easily customize the theme. Change the way Tabs Category Slider displays product rows; use labels to indicate new and on sale products; show new, featured, bestseller products to attract the attention of potential buyers; utilize Brand Logo Slider to provide the impression of a reliable company, etc. There are dozens more features available in the theme. It is also necessary to mention that the theme developer provides timely support, so you will never get stuck with an unsolved problem. Responsive Design. Sassy Girl is fully responsive and retina ready, so all your customers will get the best user experience despite a screen size of their devices. Fast Installation. The Sassy Girl Magento 2 theme can be installed in just one click. It saves time and money, because you can do everything in a matter of seconds without third-party specialists. Homepage Layouts. There are 6 different layouts available with Sassy Girl. You can apply various styles to each of them creating an unlimited number of combinations. Advanced Layout Options. Use wide or boxed layout versions. Control site width, its content areas, and sidebars. Mega Menu. In Sassy Girl Magento 2 Theme, you get an advanced mega menu that lets you customize rows and columns, add thumbnails for each category, as well as show various static blocks with texts and images. Font Awesome. The iconic font and CSS toolkit, Font Awesome, lets you enhance your user experience with stunning icons. Blog. A blog module is also available within the template. Feel free to use it as your SEO and marketing tool. AJAX Features. 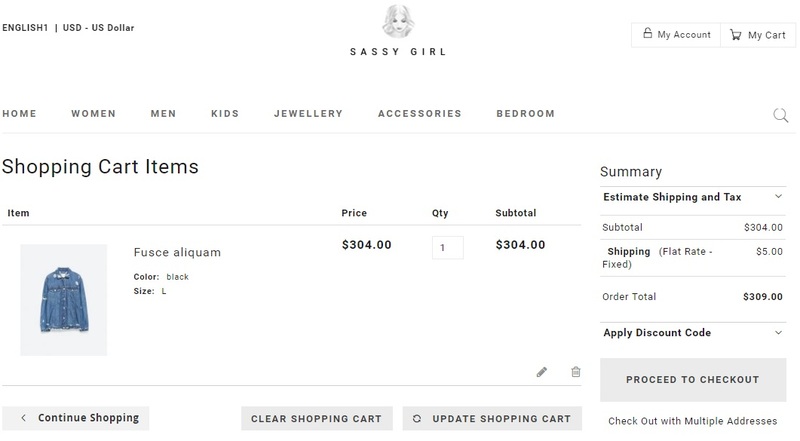 To eliminate reloads, Sassy Girl Magento 2 Theme incorporates various AJAX features. Thus, your clients can effortlessly utilize layered navigation looking for desired goods. 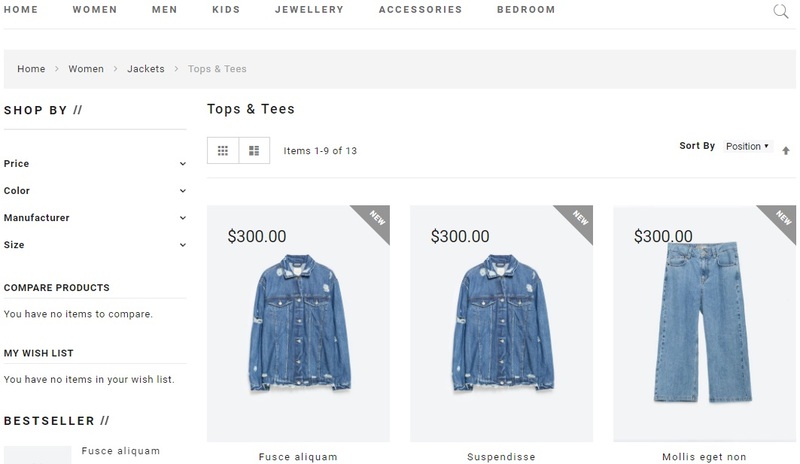 Beides, there is the AJAX-based toolbar that also simplifies the way people browse your store. Multipurpose. Although we’ve mentioned that Sassy Girl is suitable for fashion stores, it has a multipurpose nature. 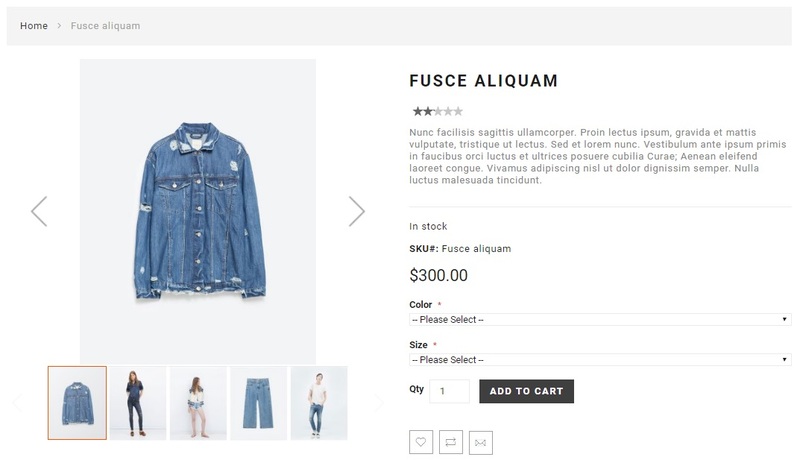 Clean and modern design can be used for any ecommerce store. Different Views. There are two views available: Grid and List/ You can choose one that to display items. Personal Layout. Create a unique layout for each page. Go to the Magento 2 admin define the way each page should be displayed. Various Sliders. 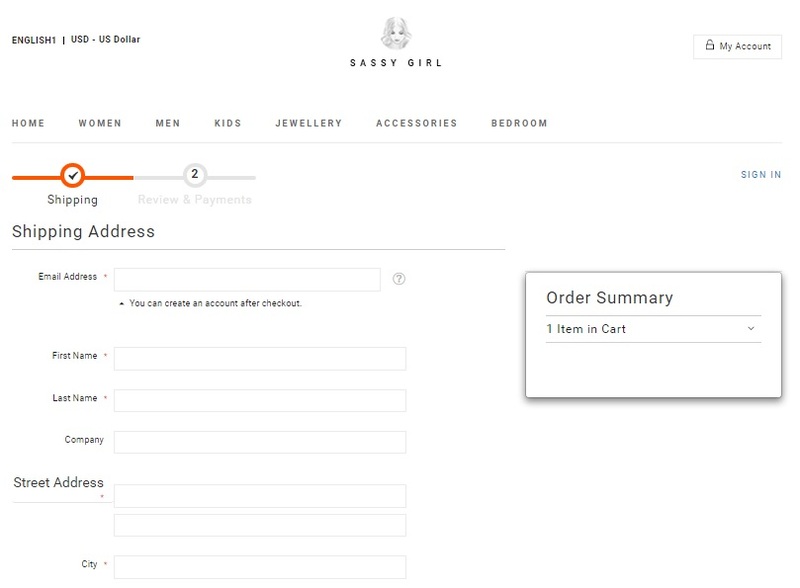 Sassy Girl Magento 2 Theme offers a lot of various sliders. There are a custom banner slider and a tabs category slider that can be utilized for your ecommerce needs. 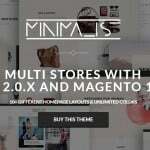 Besides, This Magento 2 template offers different product sliders for displaying new items, bestsellers, featured and related products, upsells, as well as brand logos. Newsletter. Motivate your visitors to sign up for newsletter with a handy popup. PSD files. PSD files are included in the theme package, so you can freely utilize them. Google Rich Snippets. Let your customers know what products you sell right on a search result page. Take the full advantage of Google Rich Snippets! Advanced Typography. 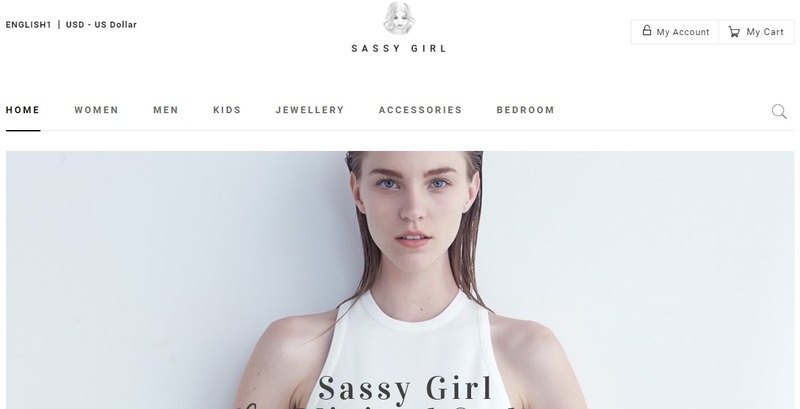 Sassy Girl Magento 2 Theme provides the ability to use Google, standard, or custom fonts. Other advanced options are available in the frontend. As you can see, Sassy Girl Magento 2 theme offers a standard set of features and an amazing design. The template is highly customizable and at the same time easy to install and use. Don’t hesitate to give it a try, especially if you are going to create a fashion store. The price of Sassy Girl Magento 2 Theme is $84.